Can’t get enough of everything pumpkin spice? Me neither! 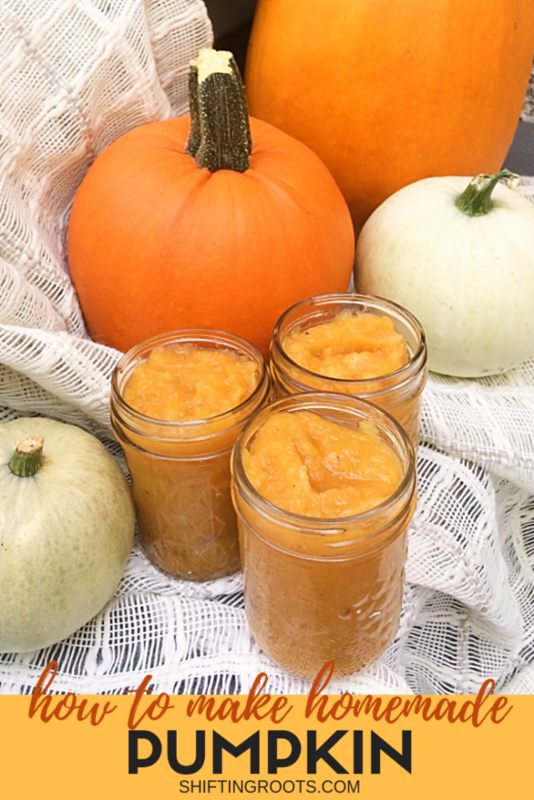 Call me basic, but once September rolls around I just can’t get enough of pumpkin flavoured goodies. 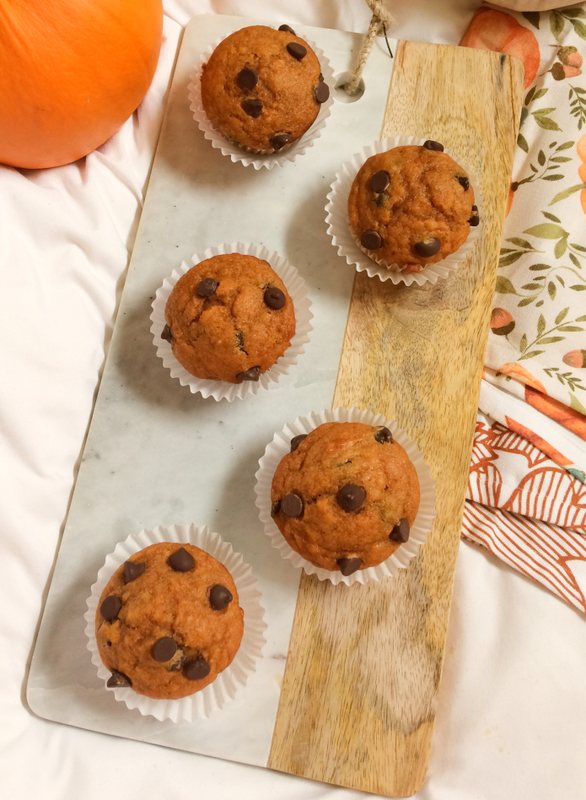 These chocolate chip pumpkin muffins are sort of healthy, great for lunches and after school snacks, and just plain delicious! 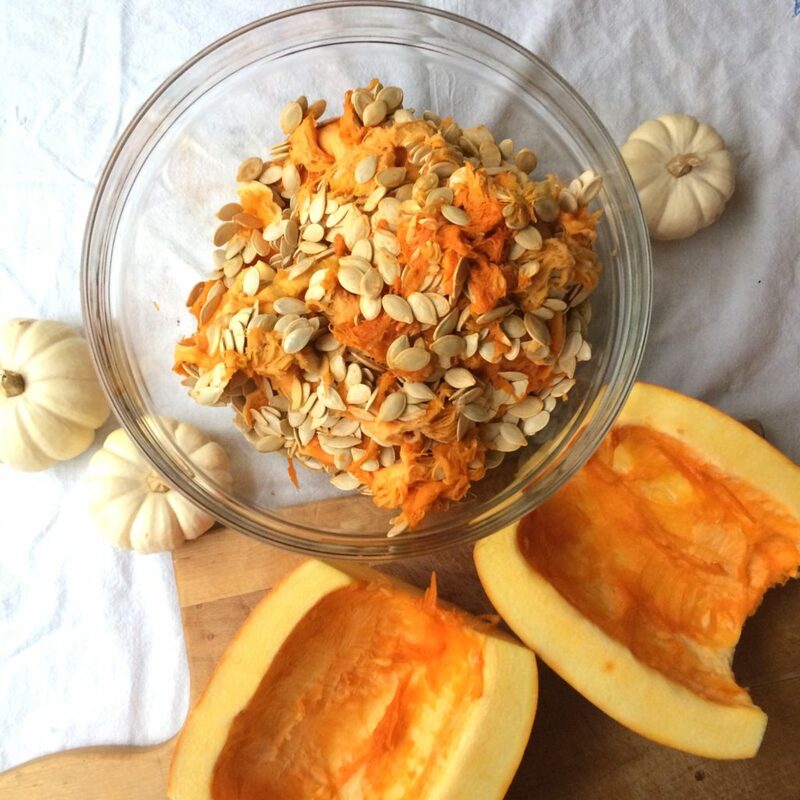 Got a rainy and kind of boring fall day on your hands? Perfect! 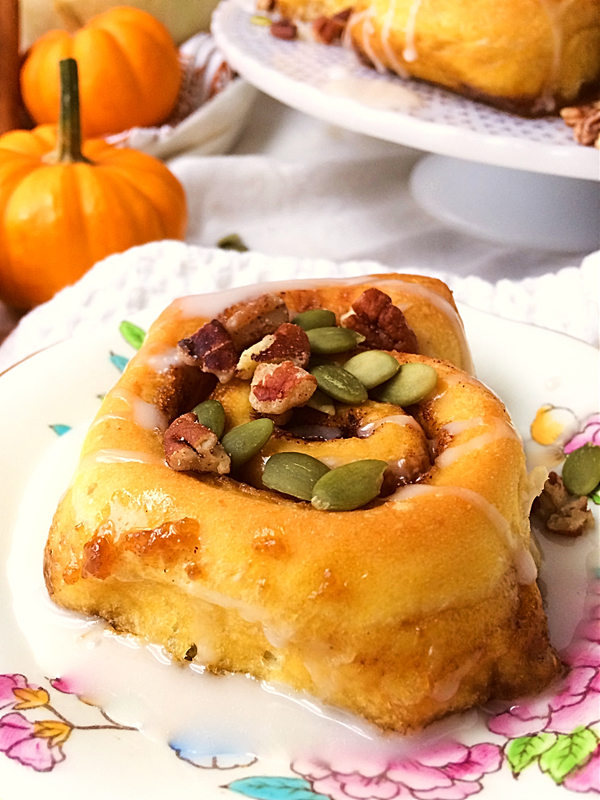 It’s a great day to make these pumpkin spice cinnamon buns. The main recipe is exactly the same as the Pumpkin Bread that I posted about a few days earlier. This time, you just roll it out, sprinkle on the spices, sugar, and butter; roll it up, and bake your way into some amazing deliciousness. When you think of pumpkin bread, you probably think of the sweet cake-like stuff that’s usually served with coffee, right? This pumpkin bread is completely different. 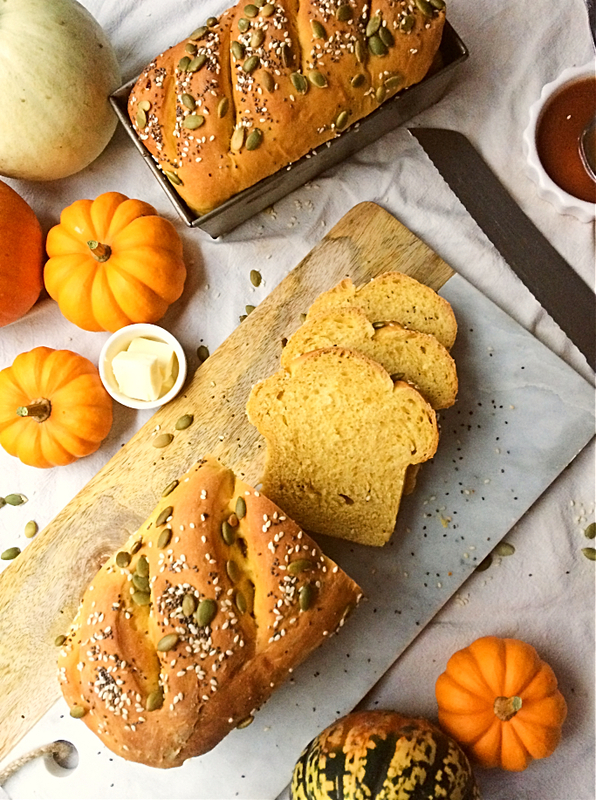 Use this delicious and moist pumpkin bread for making sandwiches or toasted for breakfast with butter and jam.